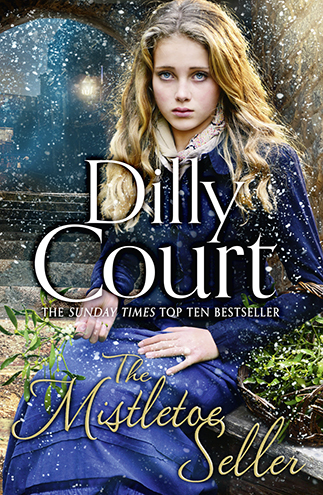 This weekend, I went back to Victorian times with my choice of Christmas reading, immersing myself in The Mistletoe Seller, best-seller Dilly Court’s unashamedly feel- good Victorian romance. 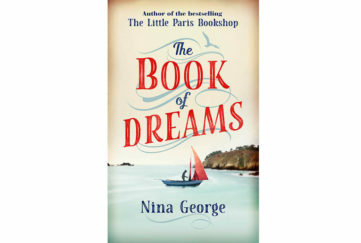 Abandoned babies, bare-footed urchins, fur-hatted young ladies and handsome young men abound on the pages of this story of fluctuating fortunes which sees young Angel Winter go from rags to riches and back again. Found abandoned as a baby in Angel Lane on Christmas Eve, the only clue to Angel’s identity is a gold and ruby ring, hidden in the folds of her blanket. Somehow Angel manages to hang on to this one precious possession through a childhood that sees her adopted as a niece by a rich couple, then abandoned to the workhouse by a cruel family lawyer when her uncle and aunt die within weeks of each other. He even banishes Lil Heavitree, once Angel’s blowsy wet nurse, now her loyal servant. Though completely alone, feisty 11-year-old Angel decides the workhouse is not for her and escapes to the streets of London, landing up in Covent Garden. There she meets urchin Dolly. Together the girls scrape a living selling buttonholes to passing rich folk. Then winter comes, harsh and cold. Dolly takes her to her bed and Angel must fend for both of them. A kindly stall-holder orders his son Danny to supply her with mistletoe to sell. Soon, Angel’s purse is heavy, but then she is set upon by a gang of youths. Terrified, she flees, finding refuge in the yard of Sir Adolphus Grantley. The gruff old soldier is intrigued by the well-spoken girl of the streets and takes her in. He sends for Dolly, too, and tracks down Lil Heavitree. But he’s off to war again, so sends the three to his country abode, Grantley manor. Dolly and Lil find haven in the servants’ quarters, but Angel will live as his niece along with his sister and other niece and three nephews. And so Angel grows up in the heart of a typical family, though she never feels she wholly belongs. But when disaster befalls the Grantleys’ her fierce loyalty and determination come to the fore. 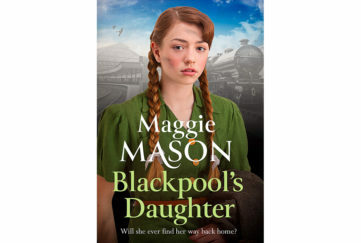 No matter that they’re often unkind to her, she’ll fight to save them from the fate of homelessness that befell her when she was eleven years old. What crime can a new-born babe have committed? Interwoven into this plot, is of course, a secondary plot, involving Angel’s true identity. The ring holds the key – but who can supply the answer? Does cruel lawyer Mr Galloway know something? Certainly he has persecuted both of Angel’s adopted families. But what could a helpless new-born baby done to have upset him? And of course there’s romance in spades! 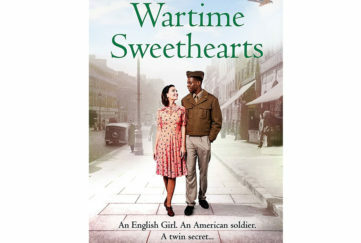 Dolly falls in love with someone well above her station, Susannah Grantley is constantly on the lookout for a rich young man, and Angel herself is torn between two possible suitors, one rich, kind and handsome; one poor but with fierce ambition and a dogged determination to see Angel never comes to harm. What a page-turner! Just as you think Angel is safe and settled, another plot twist comes along to keep you enthralled. A definite story to curl up with in the depths of winter. 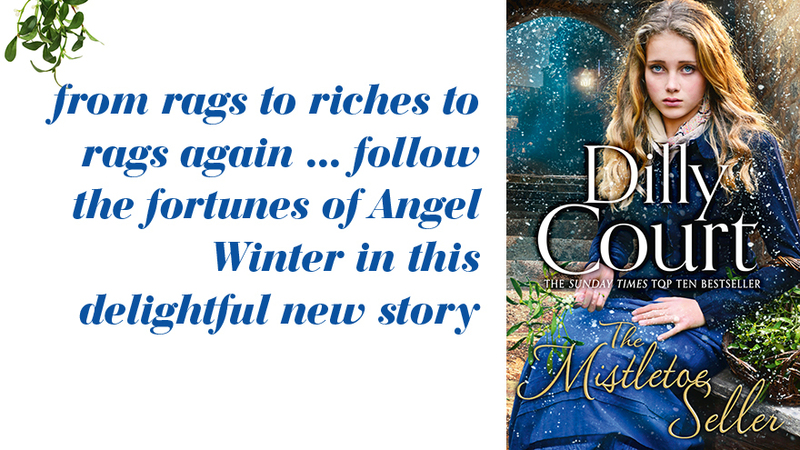 Just don’t sit under the mistletoe – you won’t want to be disturbed by anyone while you’re reading all the twists and turns of lovely Angel’s fortunes!